Caledonian Park in north London in the Borough of Islington is today a green space in a busy part of London, with few reminders of the areas rich history. 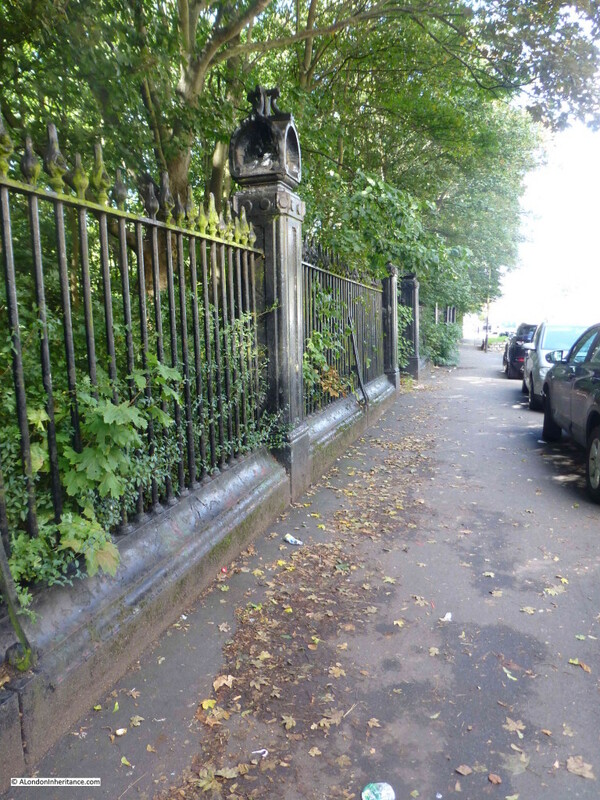 I have much to write about Caledonian Park so I will cover in two posts this weekend. Today some historical background to the area, some lost murals and finding the location of one of my father’s photos. Tomorrow, climbing the Victorian Clock Tower at the heart of the park to see some of the most stunning views of London. 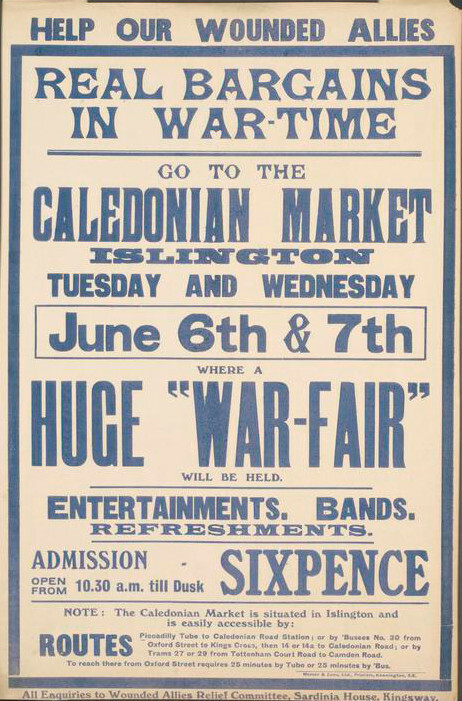 Caledonian Park is a relatively recent name. Taking its name from the nearby Caledonian Road which in turn was named after the Caledonian Asylum which was established nearby in 1815 for the “children of Scottish parents”. Prior to the considerable expansion of London in the 19th century, the whole area consisted of open fields and went by the name of Copenhagen Fields. There was also a Copenhagen House located within the area of the current park. The origin of the Copenhagen name is probably down to the use of the house (or possibly the construction of the house) by the Danish Ambassador for use as a rural retreat from the City of London during the Great Plague of 1665. 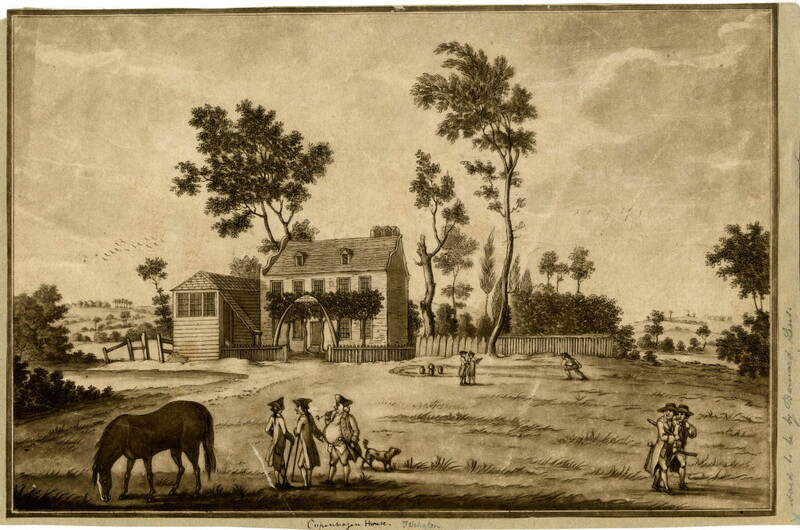 The following print shows Copenhagen House from the south east in 1783, still a very rural location. The meetings and threats from groups such as the Corresponding Societies led to the Combination Acts of 1799 which legislated against the gathering of men for a common purpose. It was this repression that also contributed to the Cato Street Conspiracy covered in my post which can be found here. 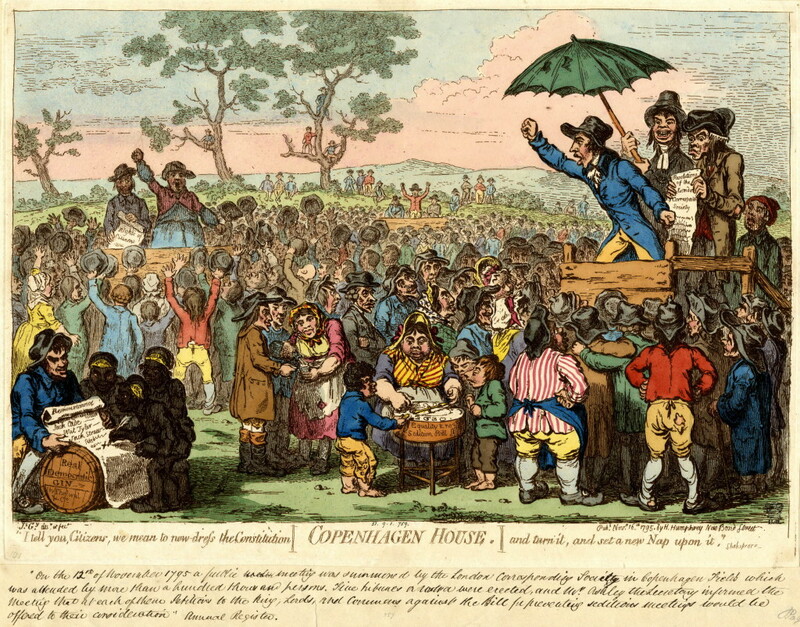 The following is a satirical print from 1795 by James Gillray of a meeting on Copenhagen Fields “summoned by the London Corresponding Society” which was “attended by more than a hundred thousand persons”. Copenhagen Fields continued to be used for gatherings. 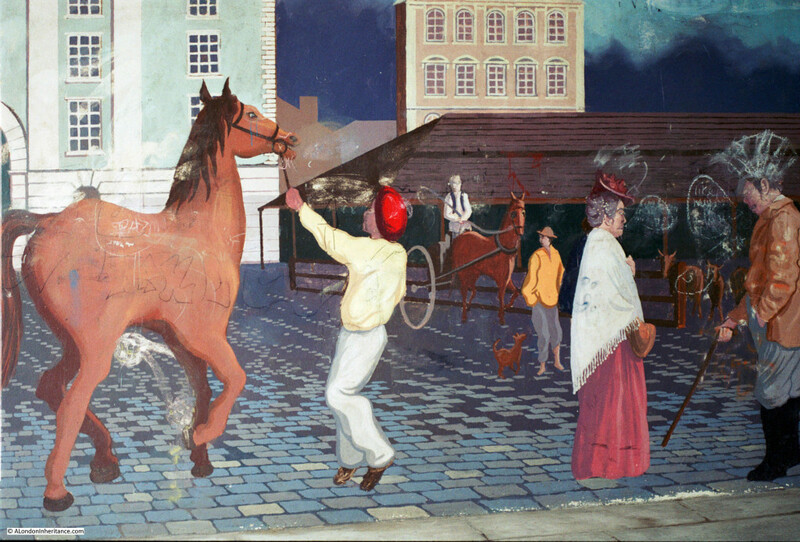 In April 1834 there was a meeting in support of the Tolpuddle Martyrs, who had been sentenced to transportation to Australia for forming a trade union. Walter Thornbury provides the following description: “an immense number of persons of the trades’ unions assembled in the Fields, to form part of a procession of 40,000 men to Whitehall to present an address to his Majesty, signed by 260,000 unionists on behalf of their colleagues who had been convicted at Dorchester for administering illegal oaths”. The final large meeting to be held in Copenhagen Fields was in 1851 in support of an exiled Hungarian revolutionary leader. The role of this rural location was about to change very dramatically. Smithfield in the city was originally London’s main cattle market however during the first half of the 19th century the volume of animals passing through the market and the associated activities such as the slaughter houses were getting unmanageable in such a densely populated part of central London. The City of London Corporation settled on Copenhagen Fields as the appropriate location for London’s main cattle market and purchased Copenhagen House and the surrounding fields in 1852. The site was ideal as it was still mainly open space, close enough to London, and near to a number of the new railway routes into north London. Copenhagen House was demolished and the construction of the new market, designed by the Corporation of London Architect, James Bunstone Bunning was swiftly underway, opening on the 13th June 1855. 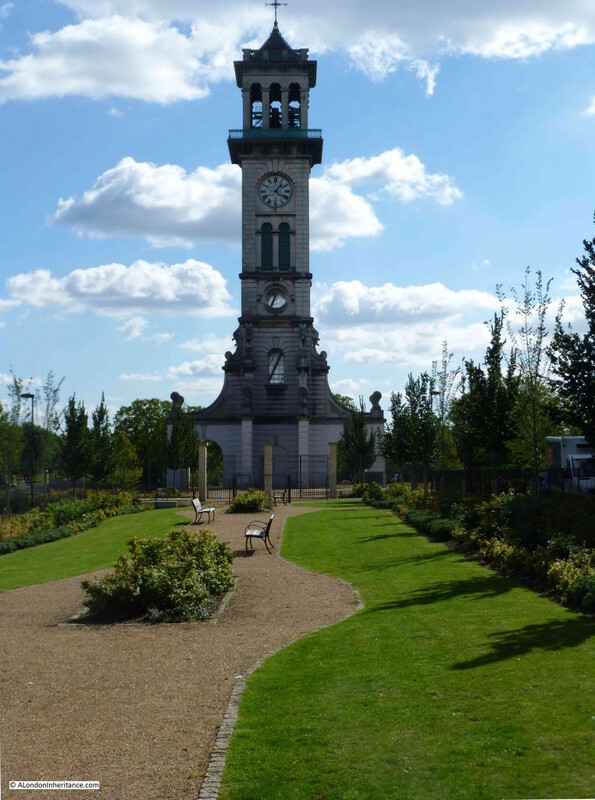 A ground penetrating radar survey of the area commissioned by Islington Council in 2014 identified the location of Copenhagen House as (when viewed from the park to the south of the Clock Tower) just in front and to the left of the Clock Tower. The sheer scale of the new market was impressive. In total covering seventy five acres and built at a cost of £500,000. There were 13,000 feet of railings to which the larger animals could be tied and 1,800 pens for up to 35,000 sheep. Market days were Mondays and Thursdays for cattle, sheep and pigs, and Fridays for horses, donkeys and goats. The largest market of the year was held just before Christmas. In the last Christmas market at Smithfield in 1854, the number of animals at the market was 6,100. At the first Christmas market at the new location, numbers had grown to 7,000 and by 1863 had reached 10,300. 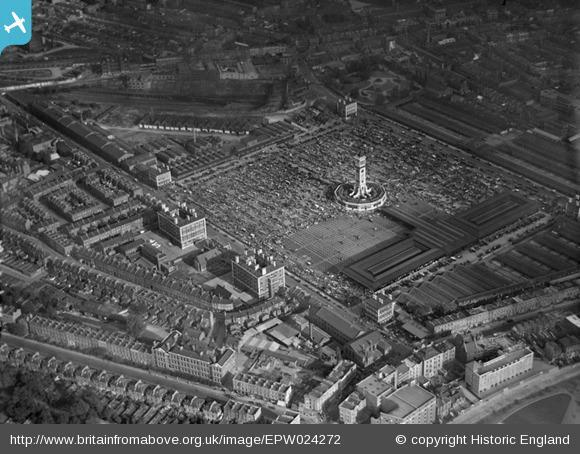 The following Aerofilms photo from 1931 shows the scale of the market. The clock tower at the centre of the market is also at the centre of the photo with the central market square along with peripheral buildings in the surrounding streets. The clock tower is located in the middle, at the base of the clock tower are the branch offices of several banks, railway companies, telegraph companies along with a number of shops. 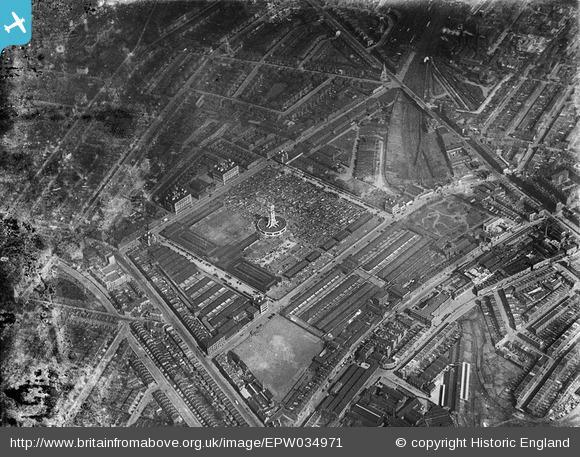 By the time of the First World War, the cattle market had started to decline and was finally closed in 1939 at the start of the Second World War, with the site then being used by the army. 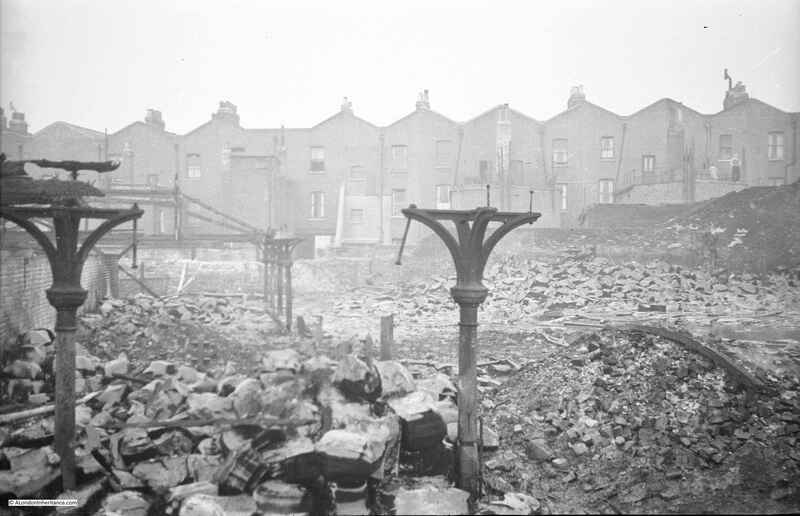 After the war, the slaughter houses around the market continued to be used up until 1964, when the London County Council and the Borough of Islington purchased the site ready for redevelopment. 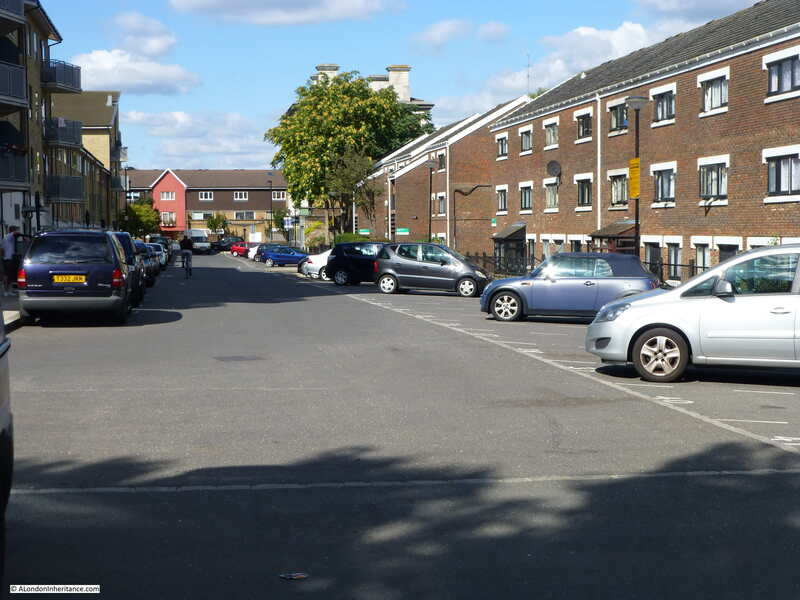 The Market Housing Estate was built on much of the site, although by the 1980s the physical condition of the estate had started to decline significantly, and the estate had a growing problem with drugs and prostitution. 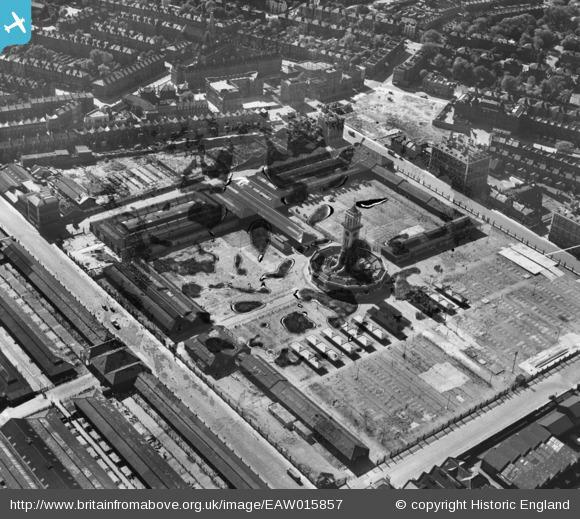 Housing blocks were built up close to the clock tower and there was limited green space with many concrete paved areas surrounding the housing blocks and the clock tower. A second redevelopment of the area was planned and planning permission granted in 2005. The last of the Market Estate housing blocks was demolished in 2010 and it this latest development which occupies much of the area today. 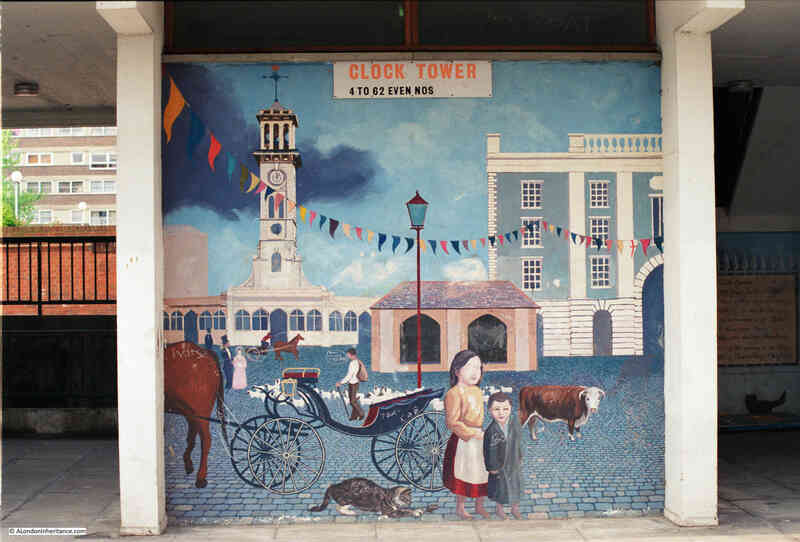 In 1982 a number of murals illustrating the history of the market were painted on the ground floor exterior of the main Clock Tower building of the original Market Estate. 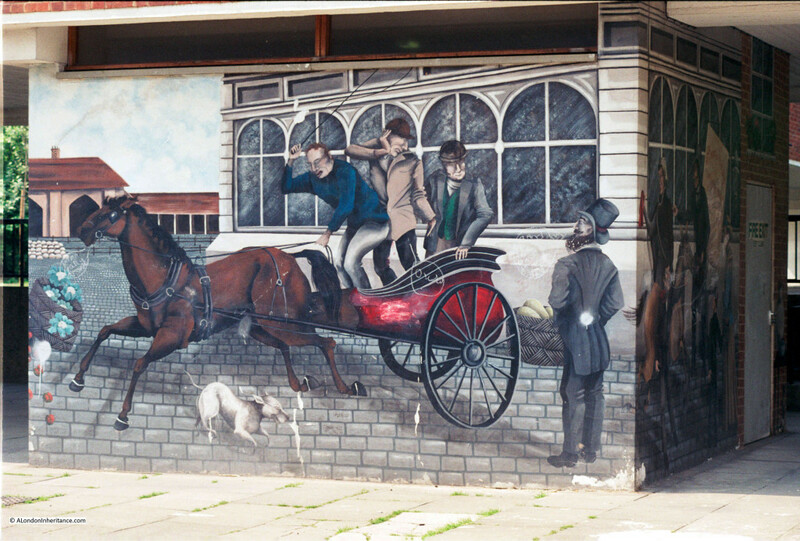 In 1986 my father took some photos of the murals during a walk round Islington. 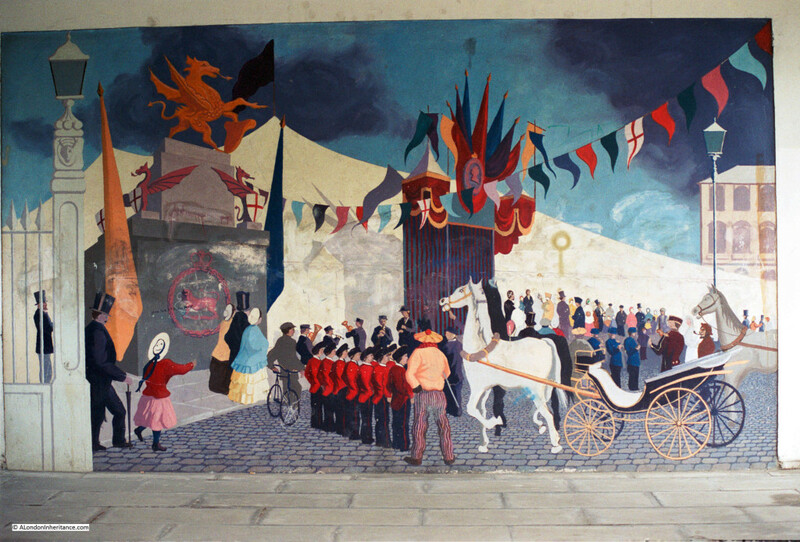 As far as I know, these murals were lost during the later redevelopment of the area. A scene showing the opening of the market by Prince Albert in 1855. A lavishly decorated marquee hosted a thousand invited guests to mark the opening of the market. As well as the photos of the murals, almost 40 years earlier in 1948 my father had taken a photo of the aftermath of a fire. I was unsure where this was and I published the photo below a few weeks ago in my post on mystery locations. One of the messages I had in response to this post (my thanks to Tom Miler), was that the building at the back of the photo looked like one of the pubs at the Caledonian Market. This, I am sure, is the location of my father’s photo. The street is Shearling Way running along the eastern edge of Caledonian Park. I probably should have been a bit further back to take the photo, however the rest of the road was closed and full of cars unloading students into the student accommodation that now occupies the southern end of Shearling Way – an indication of how much the area has changed. The pub is hidden behind the tree, although it is in the same position and the chimneys are clearly the same and in the right position. The old yards and sheds that had burnt down on the right of the original photo have been replaced by housing. I was really pleased to find the location of this photo, it is one I thought I would not be able to place in modern day London. This Aerofilms photo from 1948 shows the pub from the above photo at the top left of the main market square with the road running up to the right. Above the road is the area that was the scene of the fire. 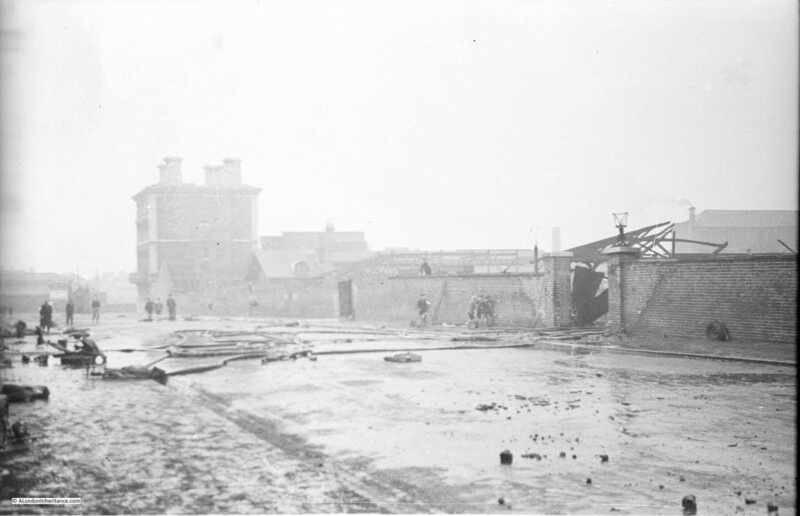 This is another photo of the scene of the fire and the housing in the background can also be seen in the above Aerofilms photo, further confirming the location. Walking down the street I took the following photo of the pub, the front of the pub has the same features as on the 1948 photo. The pub was The Lamb, unfortunately, as with the other pubs on the corners of the old cattle market, it is now closed. 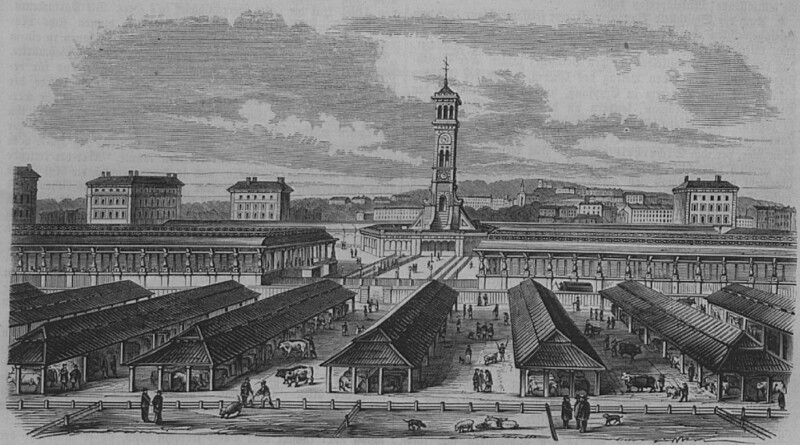 A short time after the opening of the Cattle Market, a general or flea market had become established alongside. This market grew considerably and was generally known as the Cally Market, a place where almost anything could be found for sale. 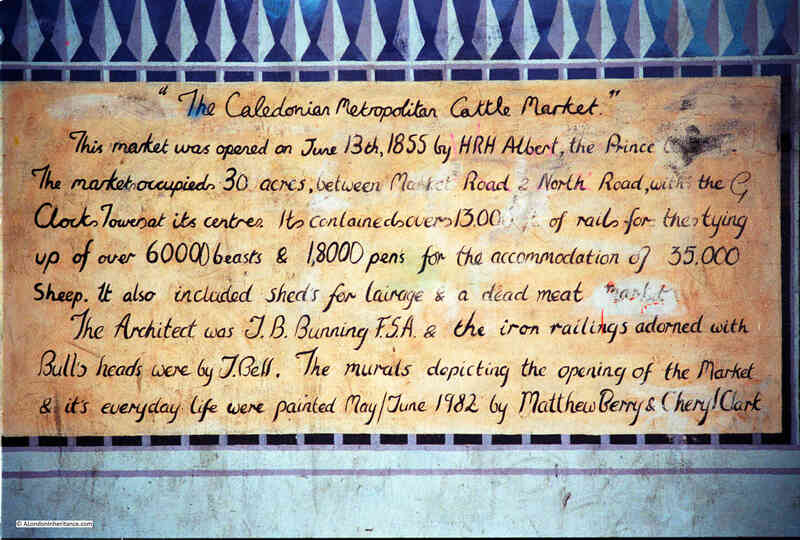 By the start of the 20th century, the size of the Cally Market had outgrown the original Cattle Market. 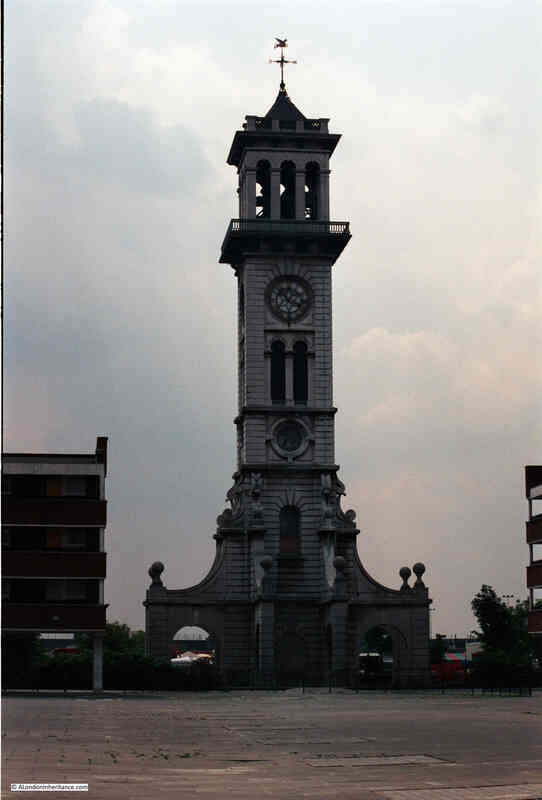 Along with the murals, my father took a photo of the Clock Tower in 1986. The original housing blocks that reached up to the clock tower can be seen on either side. The clock tower is surrounded by concrete paving. This is the same scene in 2015 from roughly the same point (although I should have been more to the left). The old housing blocks have been demolished and the clock tower is now surrounded by green space. Looking at the above photo, the wooden steps that provide the route up inside the Clock Tower can be seen through the two windows. Join me for tomorrow’s post as I climb the tower to the viewing gallery at the top for some of the best views across London. This entry was posted in London Buildings, London Monuments, London Parks and Gardens and tagged Caledonian Park, Islington, Metropolitan Cattle Market, Murals on October 3, 2015 by admin. Your photograph of 1948, in my opinion, shows ‘The Lamb” public house at the junction with North Road. The wall on the right with an entrance gate was, in the 1950’s, the main entrance to the abbattoirs which was always guarded by a policeman, possibly from Caledonian Road Police Station. Cows would be driven from the lairages on Market Road into the abbattoirs. The sight used to frighten me as a child in the 1950’s. Some of my uncles used to work in the slaughterhouses, and one who was chief gutter, died as a result of being trampled on by a bull which had got loose. Unpleasant facts, but a reminder of what life was like. if you need more information, please contact me by e-mail. Looking again at your article. I see your photograph of the area as it is today. Jenny, thanks, that is really interesting. It must have been a very difficult and dangerous place to work by today’s standards. Yes, you are right the pub is The Lamb, a real shame it is now closed but I believe they are protected buildings so at least the building will remain. In the late 50s the PC was probably PC Gregory presumably his surname. He was on the tubby side and could never catch us as we young scamps scampered over and around the inside of the gates. I lived at City Mansions facing the clock tower and I can still remember the smell of blood from the abattoir area. I attended Hungerford Primary and 40 years later and 40 odd miles away my wife met and became good friends with a woman who had been there at Hungerford at the same time as me. I was about 9 or 10 and lived in Wheelright Street next to the Prison, we used to go up to the local recreation ground to lark around. That day the drovers were bringing some cattle to the abattoir, we closed the gate and opened the gate into the play ground and shooed them in, what a laugh seeing girls with prams running for there lives. I am now 78 and can still remember it like yesterday. Louise my wife and I are have just emigrated from Australia where we have lived for some time and are going for a nostalgic trip next Wednesday morning to the our old stamping ground, might see you there. Fascinating history of this area. I first started work more than 60 years ago in the Kings Cross area and travelled down the Caledonian Road every day not knowing what was going on only a stones throw away! I am wondering just how all the livestock was transported in and out of the site in its later years? I never saw any sign of that at all. Thanks for this brilliant article and all the research that has gone into it. Looking forward to part two. Thanks Malcolm. I believe that much of the transport was via rail, one of the reasons for the location of the Cattle Market and the proximity of rail routes into north London, however I have been unable to find any photos or information about the actual transport methods used. 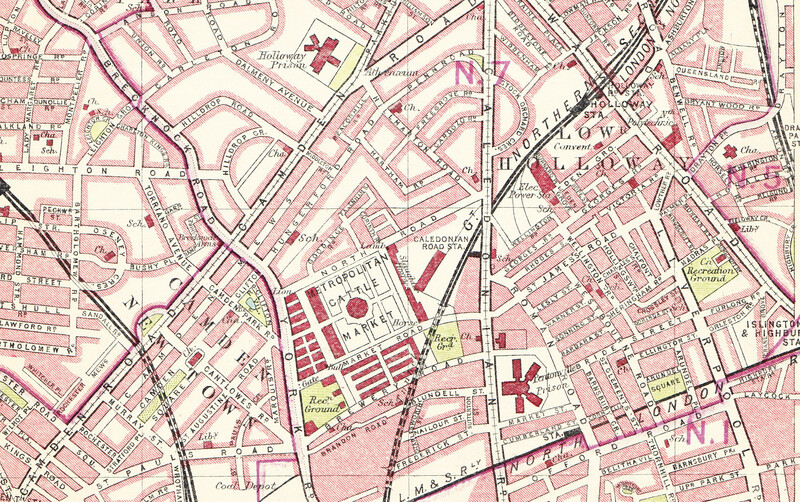 This is indeed a very interesting article on the history of Caledonian Park, I lived on the City of London York Way Estate that abounds Market Road, York Way and North Road that was built in 1968 for many years before moving out to Kent. 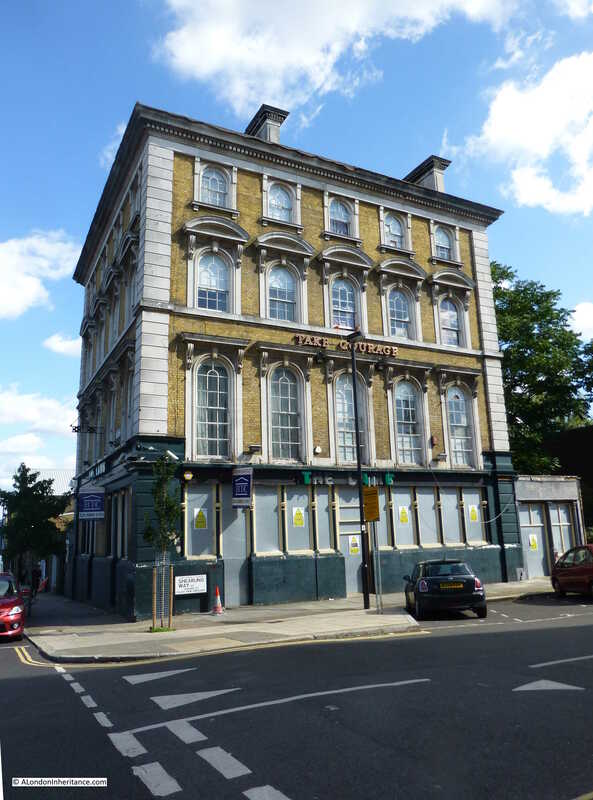 The fourth pub that was on the site of this estate was I beleive burned down around 1966, I cannot think of its name. The pub that was on the other end of the old market The White Horse has been converted into luxury flats with the large bar area becoming a five bedroom apartment that six years ago was on the market (no pun intended) for over one million pounds. Times really have changed. Thanks for the feedback John. You are right how much the area has changed. During the brief time I stood at the top of the tower it was interesting to consider how different the view would have been when the market was in operation. I have tried to find photos taken from the tower when the market was open but with no luck. Would be fascinating to see. A wonderful history of Cally Park with so many great photos. Well done. A great history. Thank You. My father worked in the market until it closed. As a small boy I seem to recall cattle driven up York Way from Kings Cross to the market but perhaps Im wrong. I have a photograph in a book of Islington Photographs of the disused market taken in 1961 by Angus McBean if its of interest. My Grandfather William Lambert Moore had a stall in the market in the 1930s. My mum used to miss school to help him push his barrow to the market and then crawl under the gate to reserve his pitch. She was born in 1921 and lived until 2016. I was a London Cabbie until I retired . One day ( Circa 2003) returning from taking mum out for a ride I stopped the cab by the main gate of the market and in the mirror I watched the light dawn on her face.. ‘Oh my gawd’ she said pointing at the gate, ‘I used to go under there to save my dads pitch. The Smith side of my family lived at first in Queens Arms Buildings and then in City Arms Buildings (1871 & 1881) If any one knows of a decent picture of them I’d love to have a copy. Fascinating reading this as both my Dad and Grandad worked at the market. They were both called Billy Hoy, and worked as butchers. I can remember my Dad taking me to ‘the Cally’ and clearly recall the railings, and the clock tower in the middle of the site. Incidentally, I have an old enamel arm badge on which is written ‘ Metropolitan cattle market’ and has the words ‘Drover 86’ as well as a shield. This came from my Dad’s belongings when he died in in 1997 aged 71.